It seems like every week, there is another $100 million investment announcement in this little country. To put things in perspective, Panama’s population at just over 3 million is much smaller than that of the Philadelphia metropolitan area. Colombians alone quadrupuled their investments in Panama this year over last. The smart money just keeps pouring in. Someone must know something. This port expansion is small compared to the billions being invested world-wide in anticipation of the expanded canal’s opening currently expected in 2016. But $110 million here and there can have a meaningful impact in a small country like Panama. Just this week, it was announced that the work on the canal expansion is 81% complete. If so, things are really moving along now. 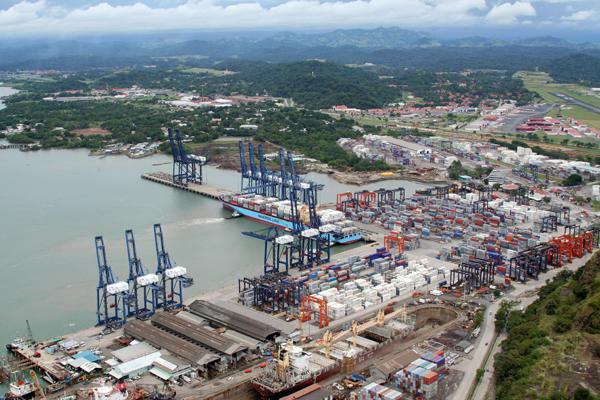 The Panama Ports Company (PPC), part of Hong-Kong based conglomerate Hutchison Whampoa, will invest around US$110m in 2015 to expand Panama’s Balboa Port. The company’s chief executive Aitor Ibarreche made the announcement to Reuters on Friday. The investment will boost capacity by 11% up to 5m teu by adding loading and unloading space. The Pacific port’s crane zone will be wired with electricity; it currently burns fuel. Ibarreche said that the investment is designed to get the port ready for the opening of the widened Panama Canal, expected to be at the beginning of 2016. Balboa is the 45th biggest port in the world, according to cm’s World Top 120 Container Ports and the second biggest in Panama after Colon. PPC also operates the Cristobal terminal in the Port of Colon. Its throughput in 2013 was 3.1m teu; Colon’s was 3.4m.